First apologies with everything going on that this post is a little late. Originally we were asked to choose and review a Father’s Day Gift for our Evans-Critten Daddy. 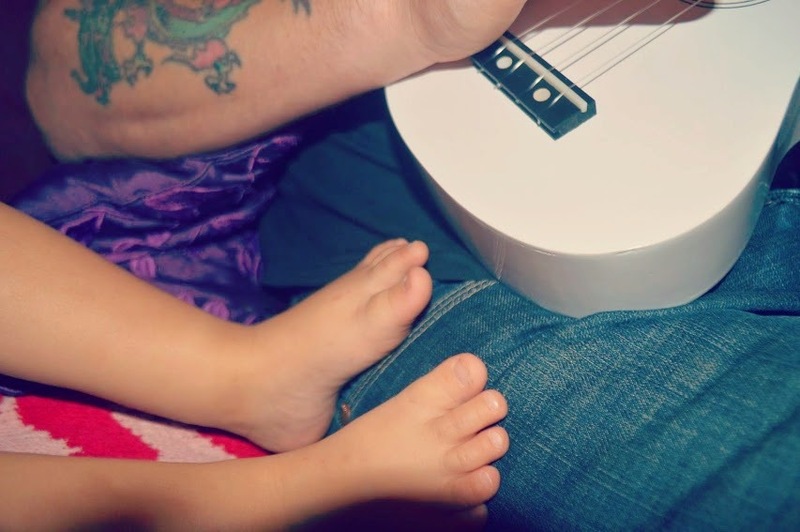 I knew however, that Dave would have more fun with a new instrument in the house, so I chose a gorgeous, White Personalised Ukulele for Isabelle and Daddy to enjoy together. 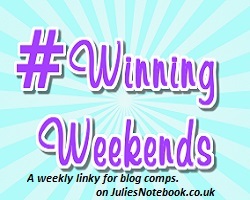 It arrived in the beautiful, luxury gift box, which comes free with every order. 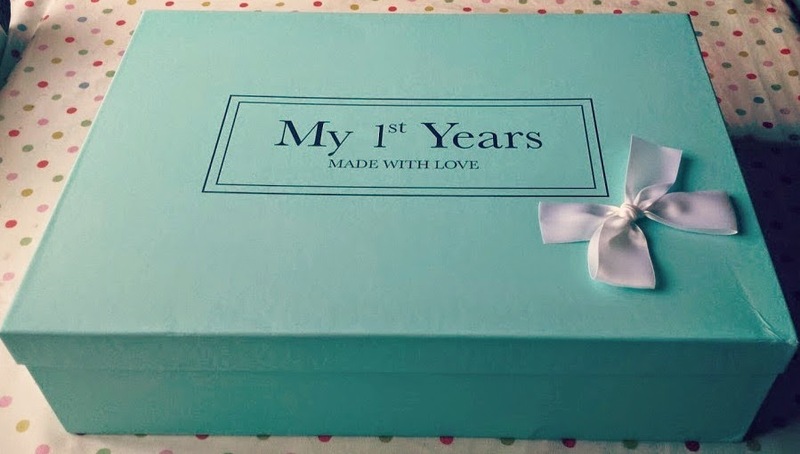 This box will make a lovely Memory Box for Izzy and I’m going to treasure all her special baby clothes, shoes and toys that she has outgrown inside it. 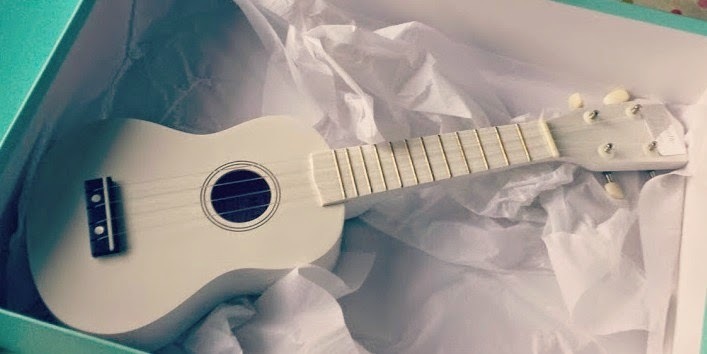 Opening the box, the White Ukulele was stunning and a very special gift for a baby or toddler. If Isabelle was younger I would have hung it on her nursery wall as a decoration until she was old enough to appreciate it. Dave plays Bass Guitar (in bands) and Guitar (at home for fun). 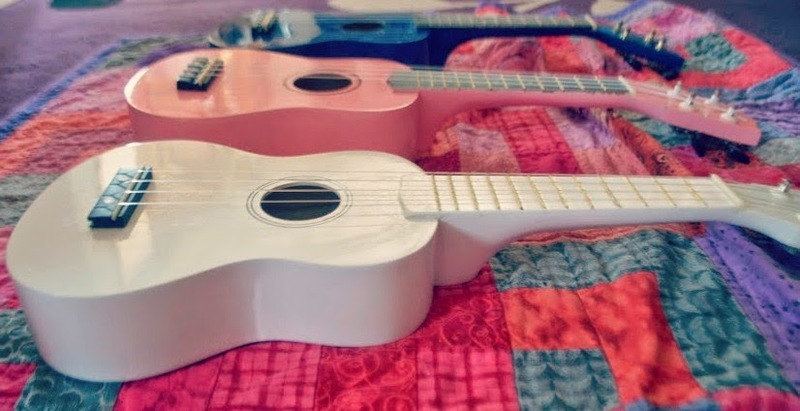 Danny started off with a Ukulele and now plays guitar and the girls currently have their own Ukuleles too. 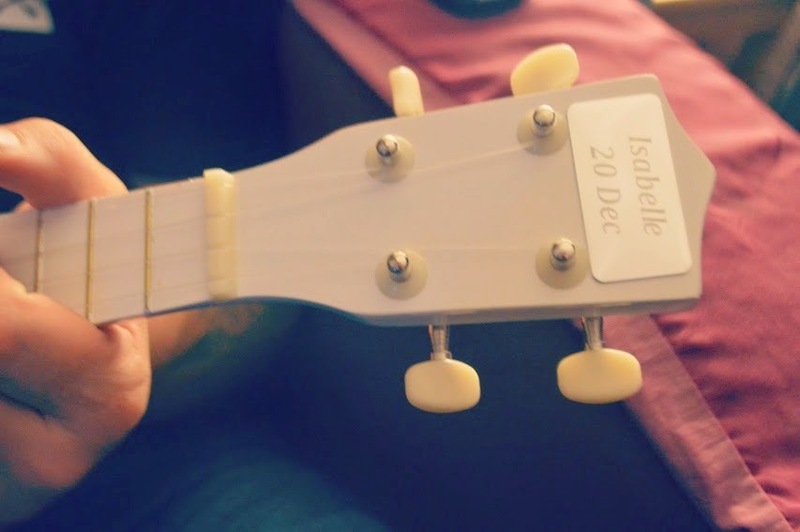 Now Isabelle has one it makes our guitar and ukulele family complete. 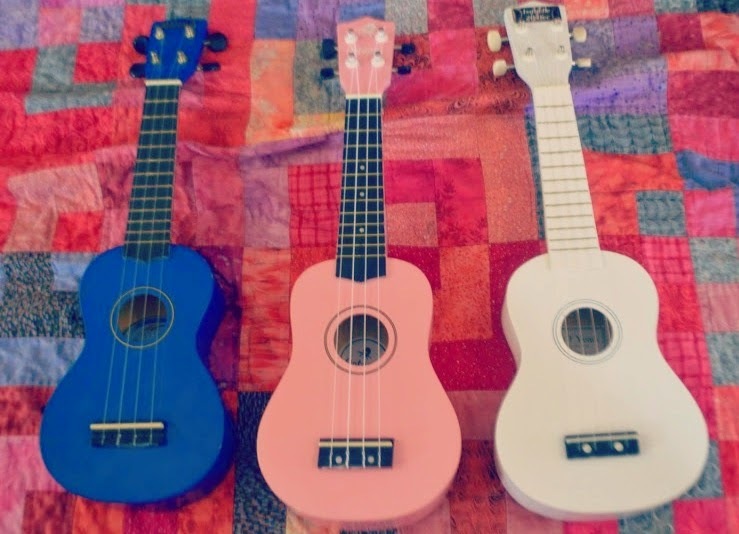 The three Ukuleles look great together. These should all be on display too. 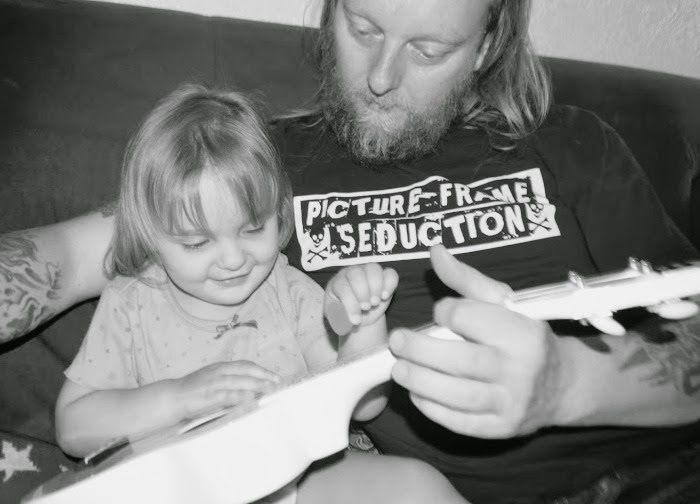 Most importantly Dave and Izzy can have real father and daughter bonding time doing something they both enjoy – Dave making music and Izzy making a noise! 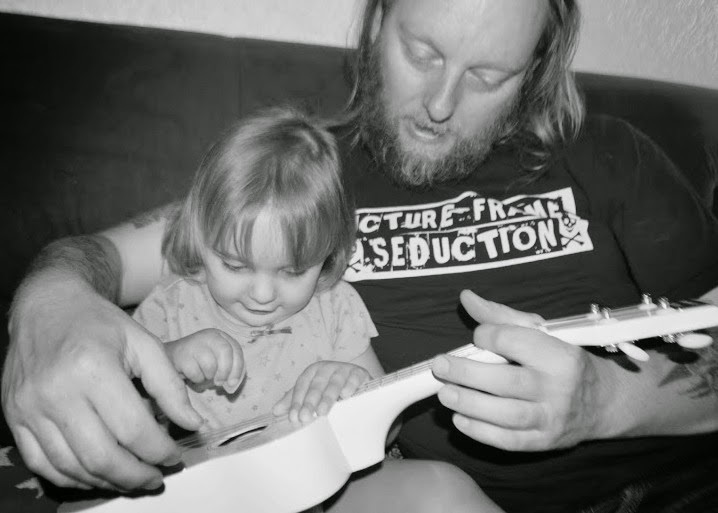 Dave played a few songs to Izzy while she sang and danced along. Then she requested he play some of her favourite songs such as “Twinkle Twinkle Little Star”. 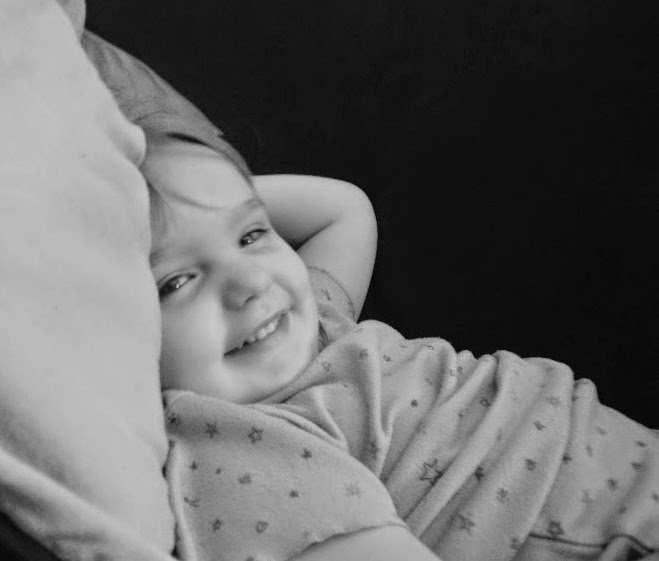 Then as Dave played some slower, calmer songs she lay down, chilled and was ready for sleepy bedtime. 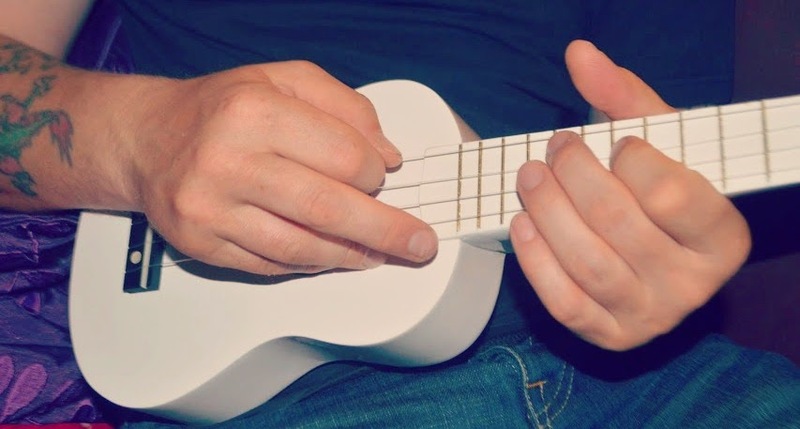 I would recommend a Ukulele as a lovely gift and also as a great starter instrument before going on to play the guitar (I wish I’d learnt this way round as I still struggle with the size of the guitar and my short arms!). This personalised gift has made one Daddy, toddler and a family very happy indeed- thank you My 1st Years! 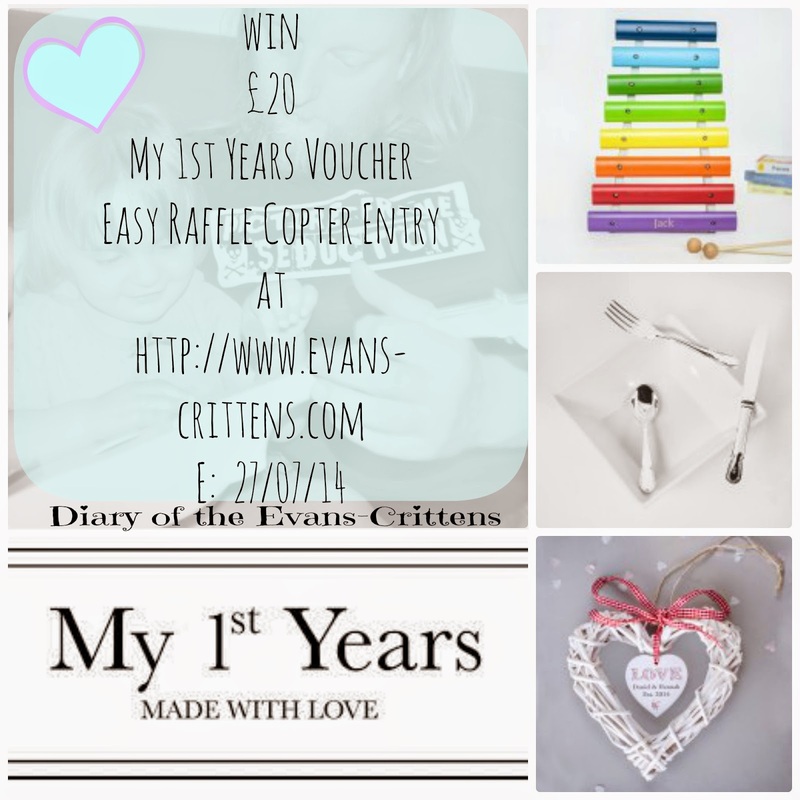 Now you have the chance to win a £20 Voucher to spend at My 1st Years and choose your own, special personalised gift. Just enter by Rafflecopter Below. Need help spending £20 at my 1st Years? 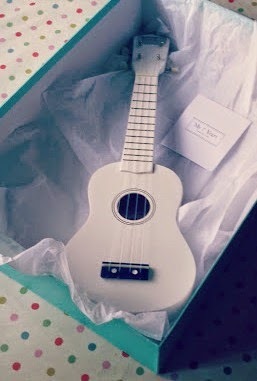 Thank you to My 1st Years for gifting us this White Personalised Ukulele for review purposes and a Competition Prize. All opinions are honest and our own.